What’s good? 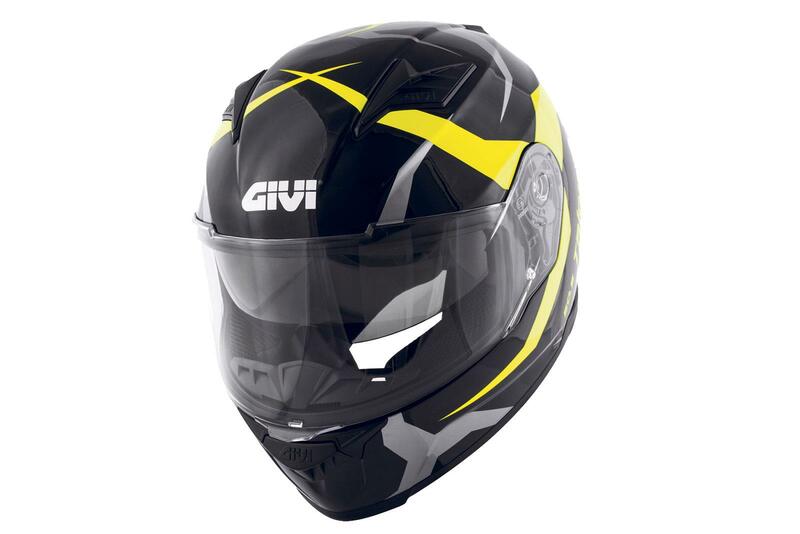 Givi’s latest mid-priced helmet comes in a range of colours and sizes – XS to XXL. Ventilation should be good, with three front inlets and an exhaust feature to the rear. And the not so good? The visor is Pinlock ready, however it does not come as standard.